This is the new variety with a die crack through the base of the date. 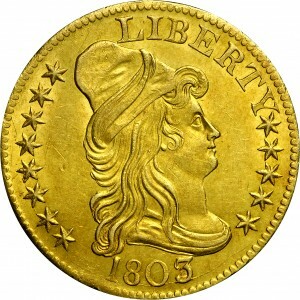 Breen failed to notice the differences in the two obverse dies, stating simply that this was a late die state of obverse 1. 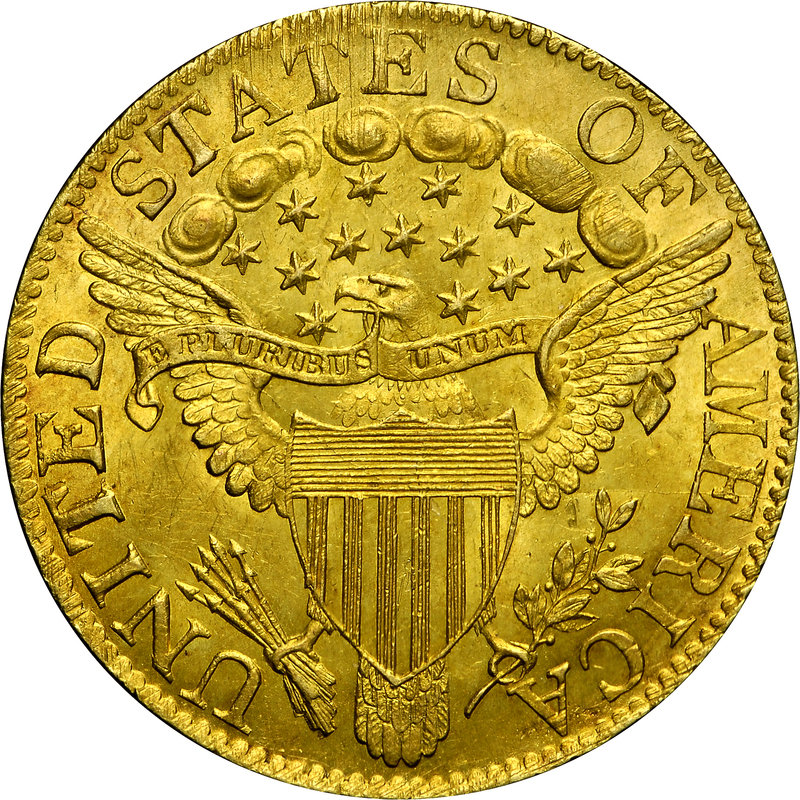 Even in his Complete Encyclopedia published in 1988, no mention of this separate obverse was made. In 1997, Robert Miller described this variety as Rarity-7. We now believe that this is one of the most common varieties of the year. For variety 1-D, Walter Breen noted that it was almost always with a light crack through the base of the date. From Quality Sales Corporation's sale of the John A. Beck Collection, Part I, January 1975, Lot 346. "Obverse: 3 over 2, 2 projecting behind 3 slightly at two points, and in front at base of 3. Arcing crack at bottom, passing thru base of date and first six stars. Faint crack thru LIBER, another thru TY to star 9. Reverse: Third reverse used. Long curved stem. Left shield point crack. Reverse used in 1804 as E. Widely unrecognized as a second obverse."